Being the daughter of Lucifer keeps seventeen year old Dawn Belial busy. For almost her entire lifetime, she has been trying to think of a way to free her Archangel mother, Michaela, whom her father has held captive for centuries. She's also attending high school - balancing trigonometry, history, and recruiting souls for her father along with her wicked half-sister, Venus. 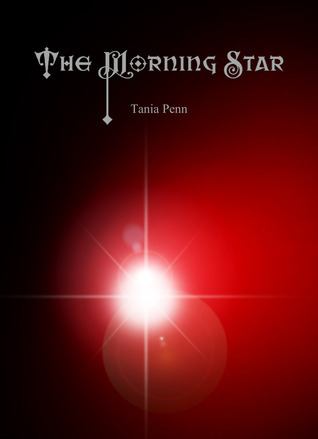 The Review: Dawn has lived a long life as the daughter of Lucifer and an archangel mother. This combination makes for an interesting personality, and although Dawn works for her father, she's been searching for a way to release her mother. She acts like a typical teen, albeit one with a succubus sister and an urge to set fires, and when she meets Gabriel., she's instantly smitten. I enjoyed the plotlines of this book as well as the characters. I think there's a lot Tania can do, and with the ending how it was, I'm very anxious to read more. That being said, I also would have liked to see more about this world so that I could understand some things - like why didn't Dawn age? Why did she only do her father's bidding when she was her mother's child too? Why was she in high school again? (That certainly wouldn't be my choice after living nearly a thousand years!) However, despite my questions, I still enjoyed this book and am looking forward to seeing what happens with Dawn and Gabriel and their situation. The Good: Loved the world Tania created and enjoyed Dawn as a MC. The Issue: Would have liked to see more with Dawn and Silas (perhaps even worthy of a prequel) because their relationship seemed to come out of nowhere. Also issues with tense changing throughout. The Rating: 4 conch. A cool new world with a lot of potential for future stories.